It all started when four friends got together with their passion for music as the common ground. 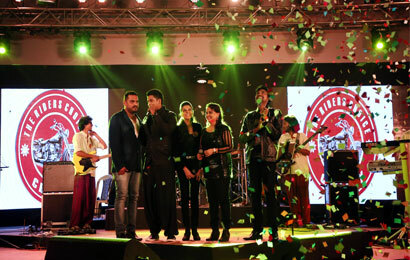 Singers Durga and Jins were friends, ever since they got fame through AsianetStar Singer. At that time, Meera Ranadive and Vishnu Achari were doing stage programmes separately. Meera is also a TV anchor with Kairali and Surya channels. She is the recipient of the Drisya Madhyamam Award for the best anchor. Once these four friends together and they conceptualized the idea of forming a band, Vaadya was born. 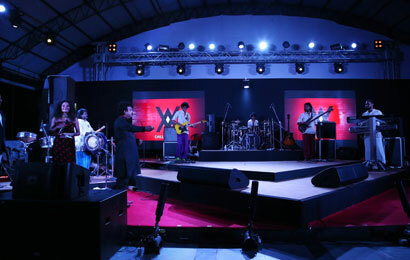 When Chillax became their main sponsor, the band was renamed Chillax Vaadya. 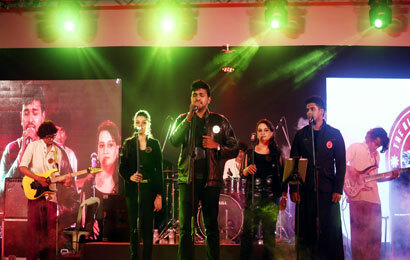 All the band members were keen on Chillax and its ambience. Just as Chillax imparted a fresh and vibrant aspect to the lifestyle in Kochi, Chillax Vaadya is on the brink of ushering in a fresh angle to Kochi's musical leanings. A band of 9 artistes, Chillax consists of vocalists Durga Viswanath, Jins Gopinath, Meera Ranadive and Vishnu Achari, and 5 musicians - Sajove Job on keys, Akash Menon on bass, Vijove Job on leads, Gino Jose on percussions and Jeo Jacob on drums. 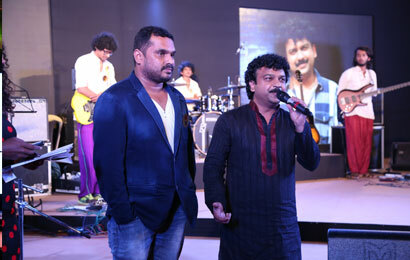 The music of Chillax Vaadya is predominantly a blend of the traditional folk and classical music. They do however set aside a small percentage of their programme to sing various other types of songs too. They draw their inspiration from the excitement of folk rhythms and the ageless charm and dynamics of the classical. There are a whole lot of bands, but Chillax Vaadya perhaps is the only band that comes out with a blend of traditional folk and classical music. The sole objective of the band is to add more vigour and depth to the music that is popular today. Chillax Vaadya has no differentiation between the old and new generations. This music would appeal to the young and old alike, Kiran V, Chillax Managing Director said in the press conference. 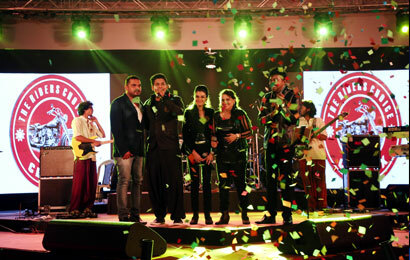 Chillax Vaadya band was launched at Gokulam Convention Centre, Ernakulam on June 25, 2016. 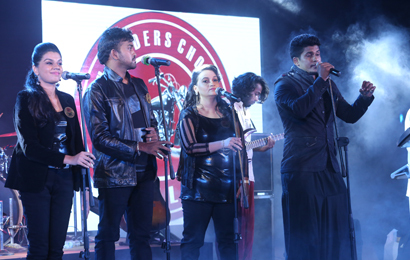 The band was launched by renowned music composer Deepak Dev in the presence of VJ and model Pearle Maaney along with other prominent figures from the field of art and culture.